MySQL is one of the most widely used relational database management systems (RDBMS). MySQL is used to manage databases in a wide variety of applications including the integrated web solution known as LAMP (Linux Apache MySQL Perl/PHP/Python). Database management is accomplished in MySQL using Structured Query Language (SQL). Because it scales well, MySQL works for projects of almost any size and complexity. 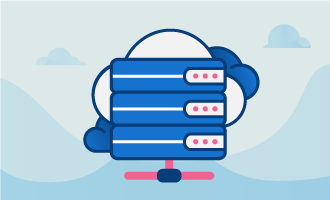 Strong security features and the abundance of tools to control it make MySQL attractive to users who want to protect their data and still have easy access to and easy use of it. This guide has been created to serve as a reference for most basic commands in SQL. Below, we have used a random test database to show you the basic principles of operating MySQL directly from the Command Line Interface (CLI). If you master the commands below, you will be well on your way to understanding how to effectively manage a database using MySQL. To get started, establish an active SSH session on your server. We will connect using the root user of our MySQL instance for convenience. To follow along, you will need to know your MySQL root password to initiate your session. The appearance of the mysql> prompt after you enter the command to initiate the session indicates you are connected to the MySQL instance on your server and can execute commands. Our first command is SHOW DATABASES. When you enter this command, a list of all the active databases on this MySQL instance will print to the screen. 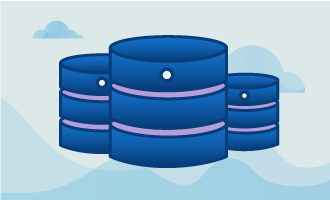 Your database “mynewdb” is now ready to use. Now, you can create tables in it or import the contents of an existing database or schema. 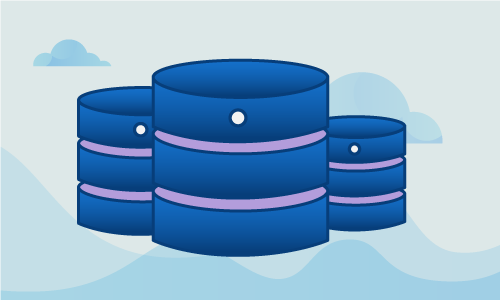 You have two basic options for populating mynewdb: Manually create tables and insert data into those tables or import the contents of an existing database or schema structure into mynewdb. Because importing is more straightforward, we will start there. To import data from an existing database, you must execute the command outside of MySQL, directly in the SSH command line. MySQL database backups are text files that are typically created with the .sql file extension name so that they may be easily identified as database backups. For our example, we'll import the contents of the radius.sql file into the mynewdb database. The IMPORT command populated mynewdb by creating a copy of all of the tables and records that were found in the original database. MySQL accomplished this duplication by running every SQL command that had been run to populate the original database. When a database has reached the end of its useful life deleting it is quite a straightforward process. Simply do as we show below to remove a database from your MySQL instance. Be careful with this command. Once a database is deleted the data in it cannot be recovered from within MySQL. Of course, if you have retained a backup you can always create a new database and import the contents of the old one. MySQL databases are built using tables. The creation a MySQL table is a complex task. Tables are so customizable that they really need to be designed to meet your specific needs or the needs of your application. To keep this guide brief we'll show you how we created a specific table we'll be using in our further examples below. If you are following along with our guide here, you should see the newly created table in your list. Occasionally, you realize you don’t need a table anymore. Simply follow the command below to eliminate the unwanted table. As with the delete database command, you should use this command with caution as it is not easy to recover from the mistake of using it when you don’t mean to do so. Use the SELECT command to view a particular portion of your data in a table (or all of it). This command is highly customizable. We'll show you a few variants below. If you wish to generate a list of everything from the table enter the following. will return the whole row where the value of the entry in the column groupname matches the "default" value. You may construct similar commands with other operators such as <, >, <=, >= and =. In this example, we will select only one field from the table in question. The data is displayed in a single column rather than being formatted like the whole table. Here we will select multiple fields from the table in question. You'll see that the data is displayed in two columns. Following the pattern established above, you can select the data from as many or as few of the fields in a table as you wish. The INSERT command enables you to insert rows into a specific table. Inserts can be performed in a few different manners. The method you choose will depend on the mechanics of your code. We will show you two common methods to give you a general sense for how it is done. and confirm the new row is now in the table. Using UPDATE you can change the contents of existing rows in a table. This command is quite versatile and will become handy in any SQL project you work on. We'll show you a couple of basic examples of how to use the UPDATE command to get you started. The smallest change you can make to a table is to update a single value from a specific row. To change just one value you need a unique identifier for the row you wish to change. Every row in a given table has a unique row id that is recorded in the id column. To make sure you update the right row use the WHERE statement combined with the desired value from the id column as in the example below. You can also update multiple rows at the same time. We have provided a simple example of such an UPDATE command in which we change the value fields to “0” for all the rows in which the value of the op field is “=". Again, we will use the SELECT command to check whether the desired changes occurred. Given that several rows were affected, it will be easier to figure out if the changes have been made if we print the whole table like so. The results of this latest SELECT should show that the value fields have been updated to "0" for all rows where the op field was "=". There are times when you need to delete data from your tables. Such deletions can be done one at a time or in bulk. If you print the full table, using the command below, you should see that the row with id value “6” is no longer present in the table. You will often need to remove multiple fields from a table for housekeeping reasons. MySQL tables can become quite large and it's often wise to clean them up for manageability and performance purposes. With the following SELECT command, we can confirm that all rows have been deleted other than the one where the value column indicates a value of 15 or above. Now you know all the basic commands needed to administer MySQL data. There are myriad variations on the above commands that will afford you greater and greater control over the behavior and content of MySQL databases. The best way to learn these variations and the efficiency that comes of using them is to take what you have learned in this tutorial and play with it.